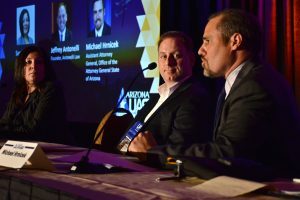 Meet Jeffrey Antonelli of Antonelli Law Ltd and Featured Business Owner at SCORE Chicago this week. Learn how he started and what tips he has for your success. Antonelli Law excels at providing copyright infringement defense for people nationwide accused of using BitTorrent to illegally download movies online. 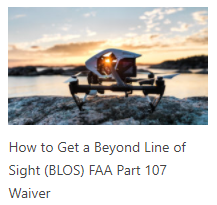 Antonelli Law’s Drone/UAS Practice Group, one of the first law firms in the country to help companies obtain FAA permission to fly drones legally, is at the cutting edge of helping companies petition the FAA for permission to fly drones “beyond visual line of sight”. I chose the legal niche of drone law due to my personal hobby involving radio-controlled model air planes. Year ago, I discovered flight stabilization technology that has only now become commonplace in the commercial "drones" we see in use today. I knew then there was a marketplace of potentially millions of users. I chose the niche of BitTorrent copyright infringement defense from an initial case referral from the Chicago Bar Association. I was intrigued by the BitTorrent file-sharing protocol and the client matters involving allegations of illegal movie downloading was a very good fit for my established background as a litigator. In addition, I also had years of experience working as outside general counsel for technology companies servicing data centers nationwide. We provide effective, affordably priced representation for clients nationwide accused of online copyright infringement. We excel at providing our services competently and without wasting client’s money for unnecessary work. We recently filed a motion to quash subpoena ion a case, and the movie company permanently dismissed the client days before the court hearing without our client having to pay any settlement money. What is your most effective sales strategy? When people speak with us, they immediately understand not only that we know the law and how to protect them from the movie company suing them. But we have their best interests in mind, and provide all their legal options and the risks and benefits of each. We let the client choose the best course of action for themselves, we don’t push certain actions on anybody. I think people trust us and hire us because of that. We have found that what works to bring in business for online copyright infringement is continually providing new blog articles on recent movie company lawsuit activity, which enhances our search engine rankings; and also purchasing Google AdWords for certain campaigns. My former boss, just an excellent lawyer and human being, Gene H. Hansen is one of my mentors. I have also worked with SCORE mentor Ezzy Dabbish. He has helped me identify valuable aspects of my business helping me to further appreciate the scale of their potential. In addition, Mr. Dabbish has provided concrete information to help me evaluate a number of business opportunities I am exploring. Finally, Mr. Dabbish has kindly provided me with additional SCORE resources including webinars that are in the precise subject matter of my most urgent business needs. Don’t waste your money on expensive prepackaged software and websites that cater to your type of service. Many lawyers I know spent tens of thousands of dollars for canned websites that did very little for them. Also, when times are good, save your money and don’t buy on credit. I keep in mind what the fantastically successful land company Inland said was the reason they survived the Great Recession: cash.